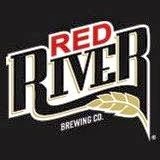 The BR Beer Scene: Red River Brewing Company - Launch Today in Shreveport! Red River Brewing Company - Launch Today in Shreveport! I don't know how many Shreveport readers of Facebook fans the BR Beer Scene has, but it looks like you're getting your second official brewery in about a month's span! Red River Brewing Company is launching their draft beer this evening at Rotolo's, starting at 4 PM. They are starting with their Louisiana Hay Ryed beer, a 4.5% rye-wheat hybrid beer with American hops. I don't know too much about Red River Brewing Company and haven't had a chance to try any of their beers, but it's still exciting to have another Louisiana brewery on the map!